Three for the price of one…..sounds good to me! The SAL will be open to everyone, the more the merrier. I would absolutely LOVE IT if some of you could maybe try blackwork for the very first time with us. You have 12 days to sort out a piece of fabric to stitch on. 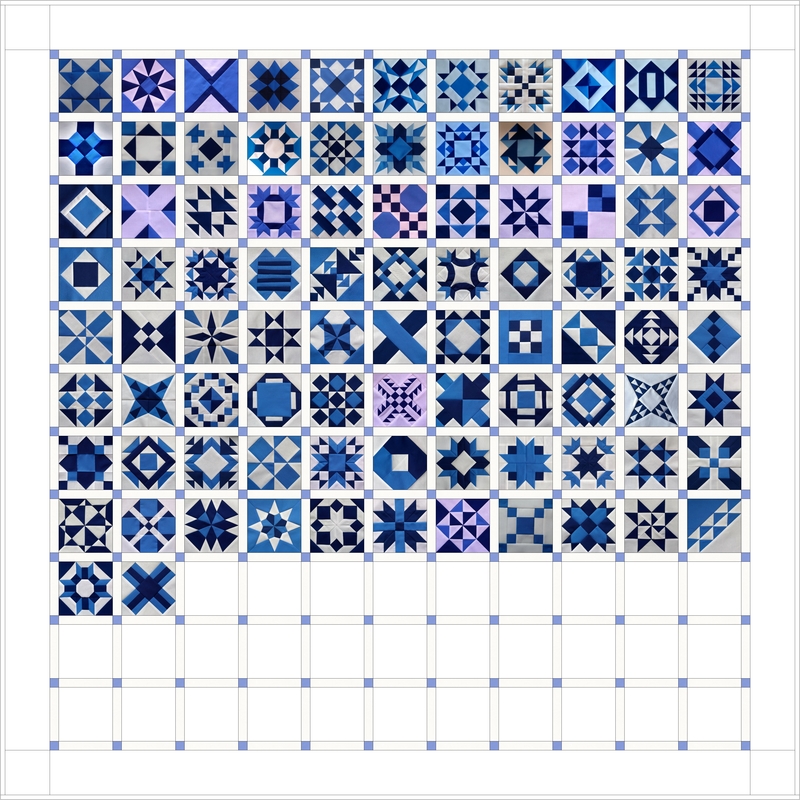 Any cross stitch fabric will be suitable. My preference is for 14 count aida fabric but you can choose. My design is about 60 stitches square so make sure your fabric is big enough. Also, you will need some embroidery floss. Traditionally, blackwork was stitched in black, I bet you hadn’t guessed that already 😉 You can stitch in one colour, or if you prefer, a selection of colours. Some of Claire’s SAL members have used variegated threads and they look lovely too. We will be stitching with only one thread, unlike cross stitch where we would normally use two threads at once. I will provide the chart for my design FREE of charge. So, there is something for nothing! Don’t you just love that idea? I will reveal stages of the chart every Friday and there will be about an hour of stitching per week if you want to keep up 🙂 You can send photos of your work in progress to me (email address at the right of the page) and I’ll open, and regularly update, a stitchers gallery. So, watch this space……only 12 days to go! In the meantime, I declare another quilt finished 😀 Yesterday, I decided I would quilt whichever work in progress was at the top of the box of patchwork waiting to be quilted. I’ve named this one Picnic Pinwheels because the fabrics are the colours of the most beautiful flowers in the garden and the size, at 54″ square, is perfect for a picnic rug. I made the quilt top about a year ago at the same time as I made this one and this one. They are all from the same layer cake by Moda called Santorini. Not one scrap of the layer cake is left. I like to challenge myself to leave no scraps. I love the colours and the bold prints which I cooled down by teaming them with my most adorable Moda Bella solids. I know I make a lot of pinwheels but look at them. How can I cure this addiction? Do I really want to be cured? Nah! I think my Picnic Pinwheels could be the eye candy in my conservatory for the next few months. I’ll be spending a lot of time here, sewing in the glorious daylight, hopefully hand stitching the binding of many more quilts (still my favourite pastime ever!!). Something to look forward to…..it’s a mystery! Now you really got me hooked on 🙂 I´ll be joyning your SAL and I´ll also write about it on my blog! 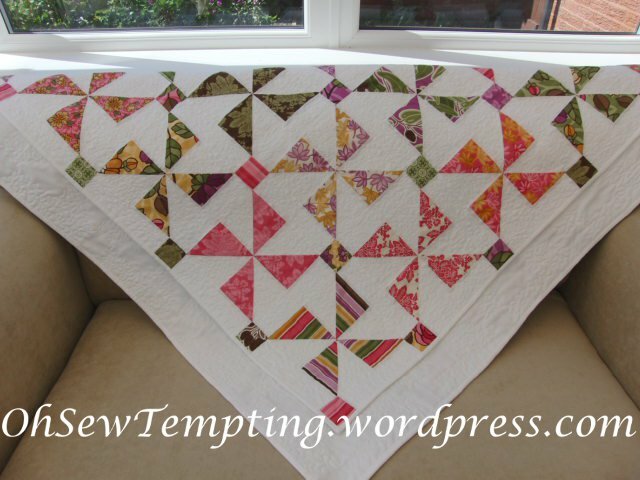 Your Picnic Pinwheel Quilt is georgeous! Pinwheels are my favorite. 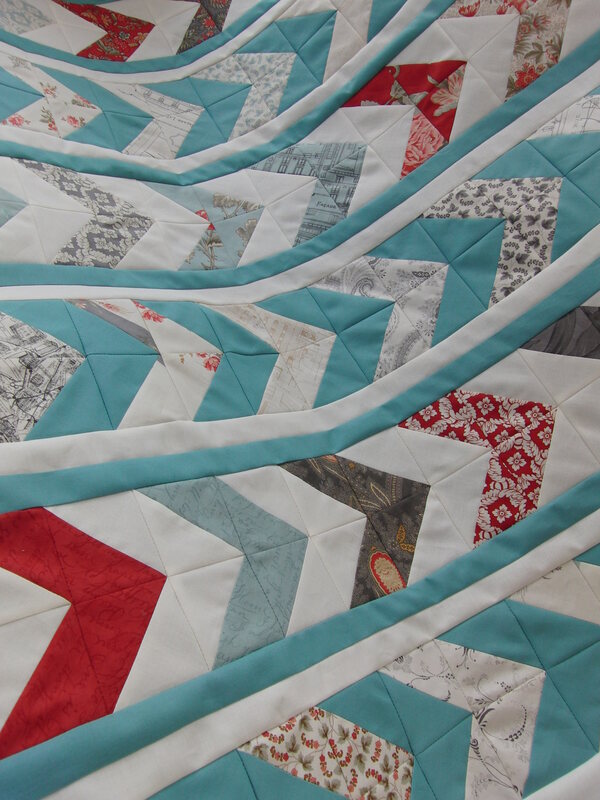 Thanks for sharing your beautiful quilts! Yes, I couldn’t have any scraps of the layer cake left 😉 It adds a little bit of work but a lot of extra interest. P.S. if you want to be notified by email when all of the stages of the SAL are published, you will need to “follow”. See top right. I can’t add your email to the list myself. (Not sure whether you know this). I love blackwork and would love to join your SAL – it will be my first ever! I’m not very good at deadlines in my creative work so I hope I can keep up! 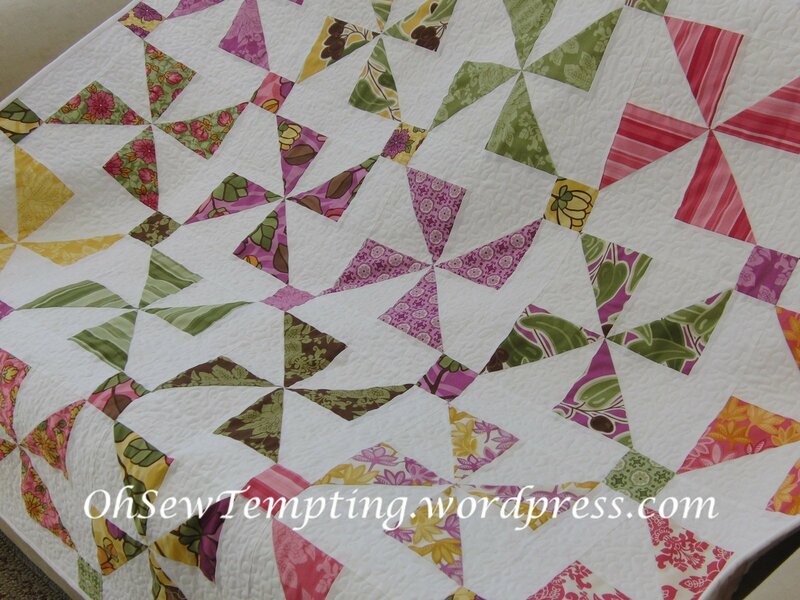 Loving the pinwheel quilt – fabulous colours. Really love the colours in your Picnic Pinwheels Avis, gorgeous. Oh I am following yout blackwork sal. I think I’ll join the blackwork SAL, never done it before. Your quilt certainly has a summer look to it. I can just imagine you sitting on, it eating strawberries, under the shade of a big tree. Pinwheels are gorgeous, there are so many ways you can use that design and every quilt looks entirely different with the fabric choices. The blackwork sounds like fun. I did decide I wouldn’t have time to join in, but what the heck, I’ll find an hour a week from somewhere. 😉 Off to find some Aida, there are some coloured pieces in my stash and I have lots of threads…………See you Friday. Oh! I love this! Beautiful! I absolutely love this quilt! Is there a pattern somewhere for this. The colors are gorgeous. Anyway, I’ll try and hunt down my old counted thread supplies and join in. I had forgotten how much I enjoyed that. so fine, I would like to join you for your blackwork sal.